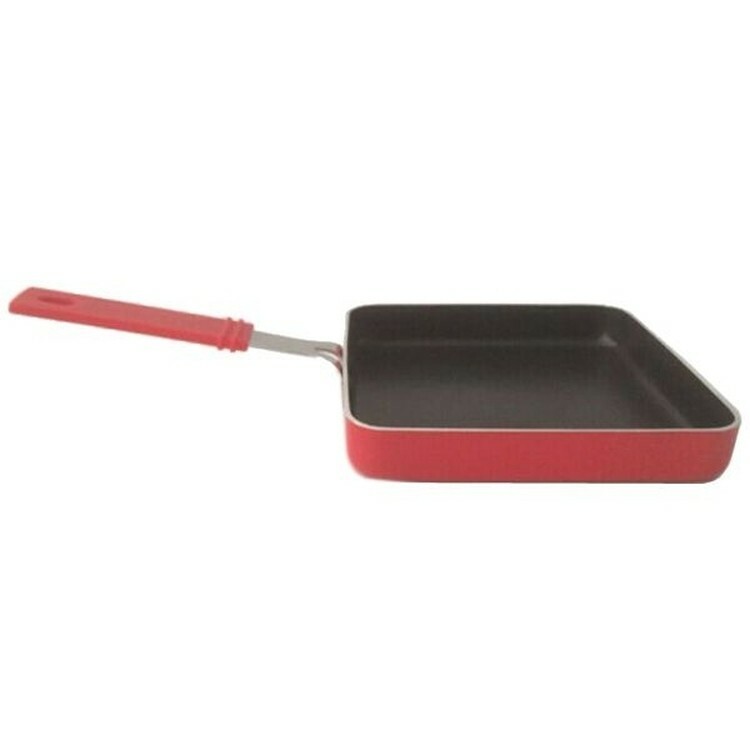 The 5.7" square griddle is made with durable hard anodized on the outside and Aluminum on the inside. Manufactured without PFOA and heat resistant up to 850?F. Thermolon makes for easy clean up and food release, adding extra convenience. Complete with stainless steel & silicone handles for oven and broiler safety. 5.7 " X 5.7 " X 0.95 "